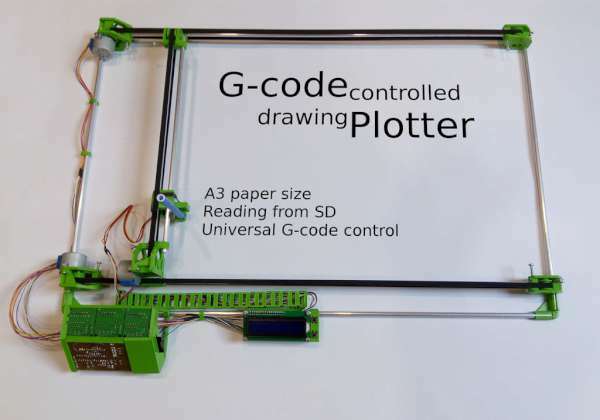 Here I’ll show you how to make 2 axis, gcode controlled drawing plotter. I’ve already made a delta 3D printer which is awesome, the only thing that wasn’t made by me was the Arduino program. This program was very long and complicated, so I’ve downloaded it from the Internet. I’ve started to think if I am able to also make it myself. But why should I start with something so hard, firstly let’s make something easier – Plotter! This entry was posted on Wednesday, December 7th, 2016 at 6:24 am	and is filed under how-to. You can follow any responses to this entry through the RSS 2.0 feed. You can skip to the end and leave a response. Pinging is currently not allowed.